Shortening the time to close is a goal for just about every CFO, Controller and Finance/Accounting Team. Closing more quickly means a more efficient process, more time to generate insight and lower overall costs - as long as accuracy of close remains high. 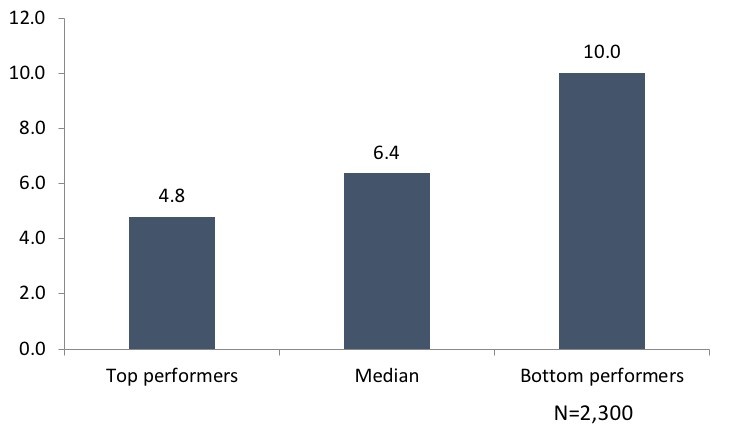 According to the APQC General Accounting Open Standards Benchmarking survey (2,300 companies participated) - Cycle Time for Monthly close ranges from 4.8 days or less for the top 25% of companies to 10 days or more for the bottom 25% of performers. Improving quality of data coming in to the close process including reducing data errors before the trial close. Increasing the organization and communication among the various teams that contribute and execute the close process. Investing in new technologies and methods of efficiency that consolidates systems and maximizes the value of employees time. No matter how efficient and thorough an organization’s accounting team, if it performs reconciliations manually or through “rules based matching”, it is always going to be lagging behind accounting teams that are automating the close process. This is because the manual reconciliation of an organization’s finances is time consuming, costly and prone to human error. More importantly, reconciliation errors having potentially major consequences to a company’s financial well being. High transaction volumes, multiple bank accounts, different transaction types, multiple currencies and various bank file formats only add to the problems. According to a financial accounting survey by EY, up to nearly 60% of a financial department’s resources are spent on managing transaction-intensive processes. What is worse, 95% of this effort is spent on transactions that already match, rather than problem entries that actually require attention, reducing the efficiency of the org and dramatically increasing the time it takes to close. Artificial Intelligence (AI) based reconciliation platforms, like Sigma IQ, solve this problem in a completely new way, dramatically reducing the human time investment required to close your books. On average, Sigma IQ can reduce the time to close by up to 90% and save hours per employee in labor time. 95% of account reconciliation effort is spent on transactions that already match, rather than problem entries that actually require attention, reducing the efficiency of the org and dramatically increasing the time it takes to close.